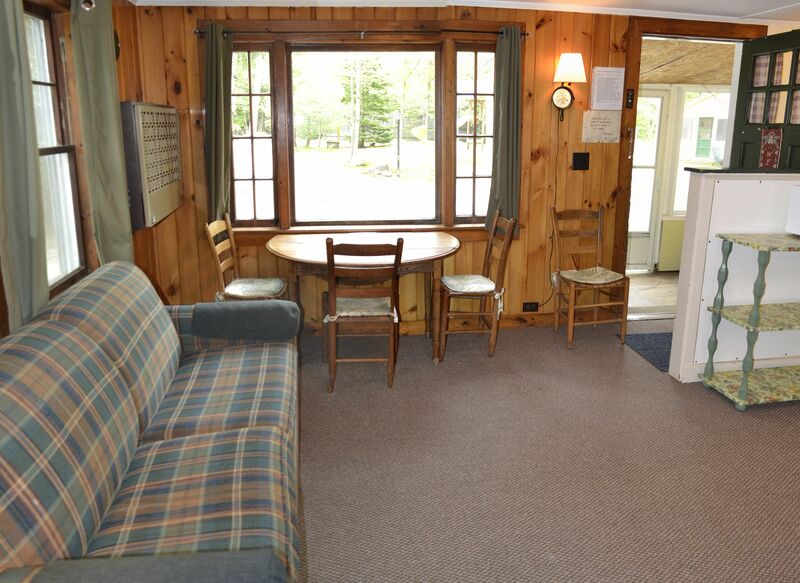 This is our year round cottage. 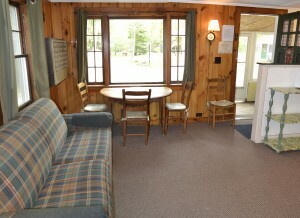 Screened-in-porch. Then main room has a kitchen table,full size sleep sofa,full size bed,dresser and color cable TV. 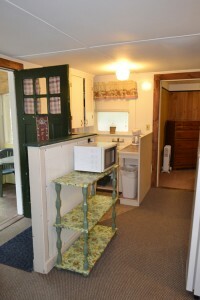 There is a small kitchenette with a sink, free standing stove and 2 cabinets. There is a shelf that holds your micro wave. 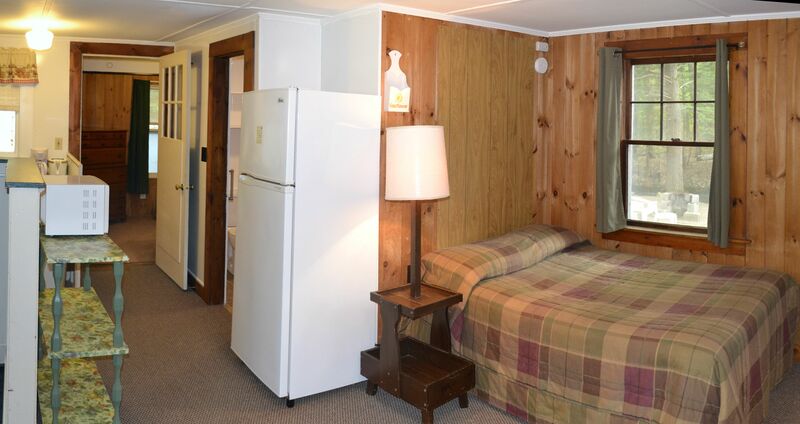 Across from that is your full size fridge. 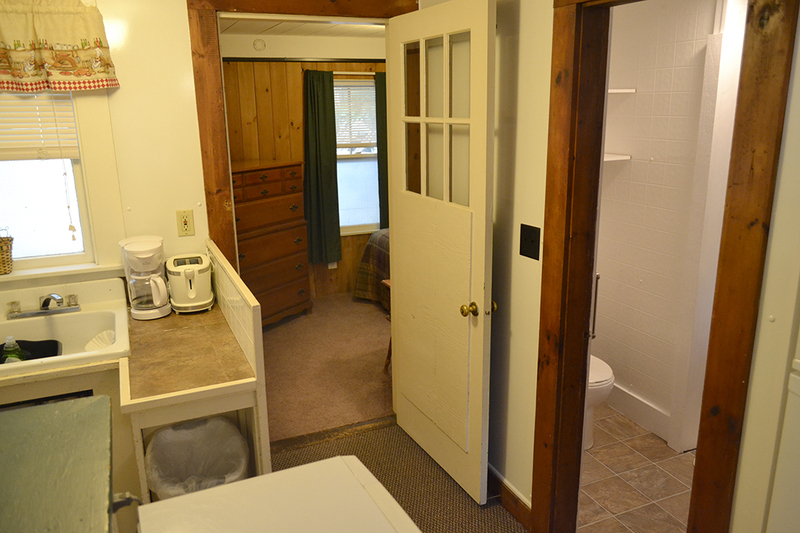 Then there is your bathroom with a shower stall. 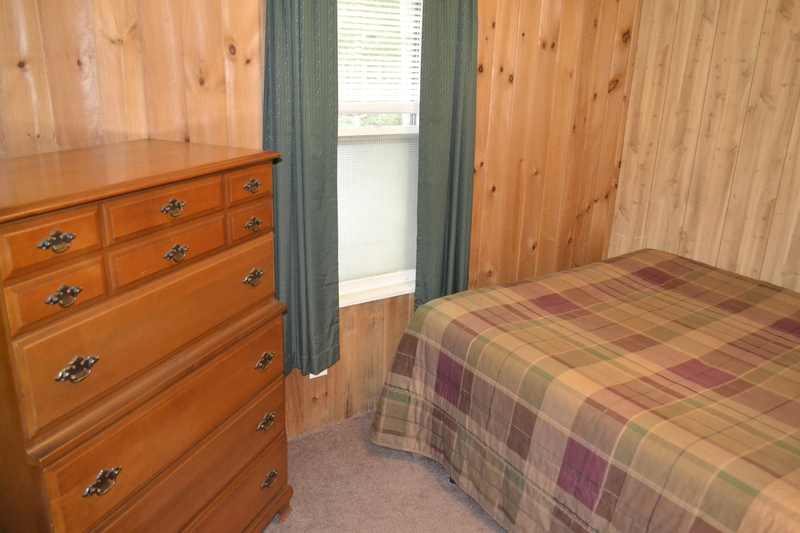 Then a separate bed room with a queen size bed and big dresser. 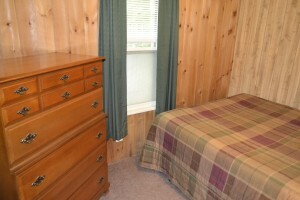 This cottage is good for families with older children so parents can have separate bed room and kids have main room. 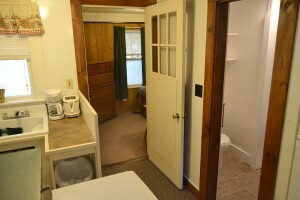 Cottage has picnic table & park BBQ grille.